Kieron Gillen continues to impress by doing a lot in a relatively small amount of space during his time on Uncanny X-Men. 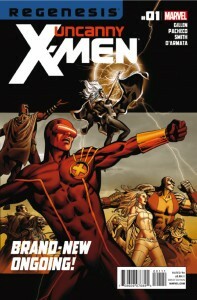 In a few panels, he nails relationships between long-standing characters and gives a tight overview of Cyclops’ organization from the existing science team, The X-Club, to the recruits (I was really glad to see Prodigy stay on Utopia) to new squads like his San Francisco street team. It’s a great use of a large cast and the mutants on Utopia could have used this streamlining a long time ago. The infographic included in the material at the back of the issue also helps to keep things straight, and along with Cyclops’ open letter to humanity they’re really all you need to make a decision on whether you’ll like this book’s direction. I am an admitted fan of Carlos Pacheco’s art, and I was very happy with just about everything he put into this issue. 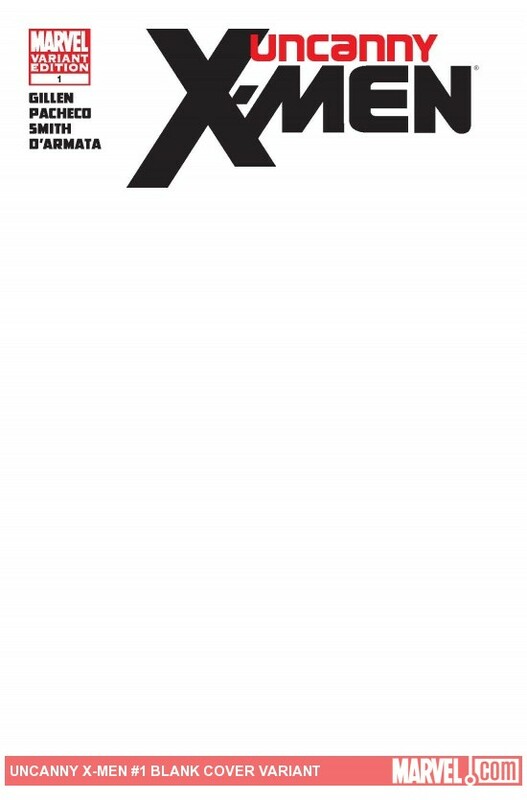 The introductory pages that read from a visitors guide to the X-Men’s San Francisco are gorgeous, and I felt the lettering of VC’s Joe Caramagna really elevated them. The assembly of Cyclops’ new “Extinction Team” that will serve as the focus of the series was epic and really drove home the awe inspiring power he will have at work in the world. That scene also put the fact that they’re living on what was once Asteroid M on full display. Unfortunately, I find Pacheco’s cover image somewhat disappointing. 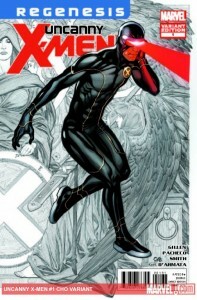 Cyclops’ pose is awkward and everyone seems to be leaning quite a bit. However, Dale Keown and Frank Cho’s variant covers more than make up for these minor complaints about the regular edition. 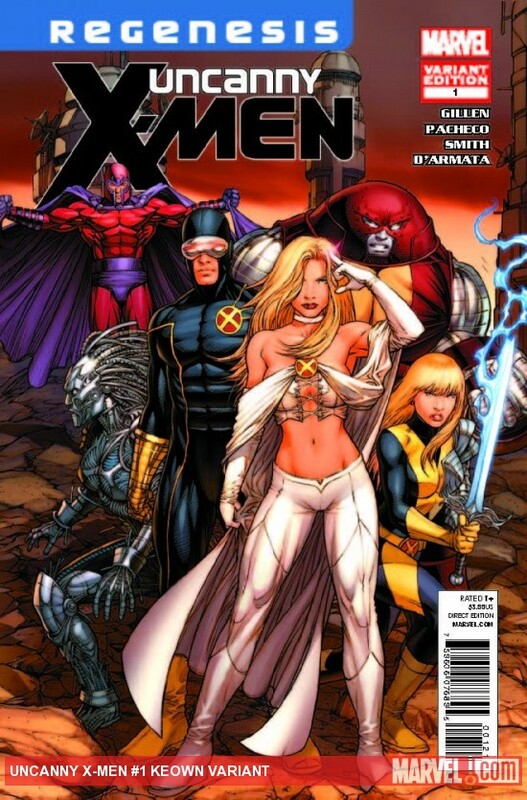 Mister Sinister steps right out of the pages of the previous volume of Uncanny X-Men, presenting himself as the first threat Cyclops’ Extinction Team will face. I really hope Sinister comes through on his promise to tell Cyclops exactly what his lunacy has been all about as his abilities and actions here and in Uncanny X-Men #544 are perplexing. He seemingly has the ability to re-write reality, and that clearly was not listed in his bio on page one. These newfound capabilities are what lead to the issue’s sillier moments as he not only accesses the giant Dreaming Celestial that’s been standing Golden Gate Park since Uncanny X-Men #500, but removes and transforms its head into his own image. The silliness may be part of an ongoing theme as we see a town full of Sinisters appear as a cliffhanger. Overall, this is a very satisfying first issue with a number of mysteries to resolve and Cyclops taking his X-Men down a very dangerous path. Saving humanity while intentionally terrifying it, even as a deterrent against anti-mutant sentiment, is not the approach I’d like from my favorite heroes; but in Gillen’s hands it should make for some great stories. 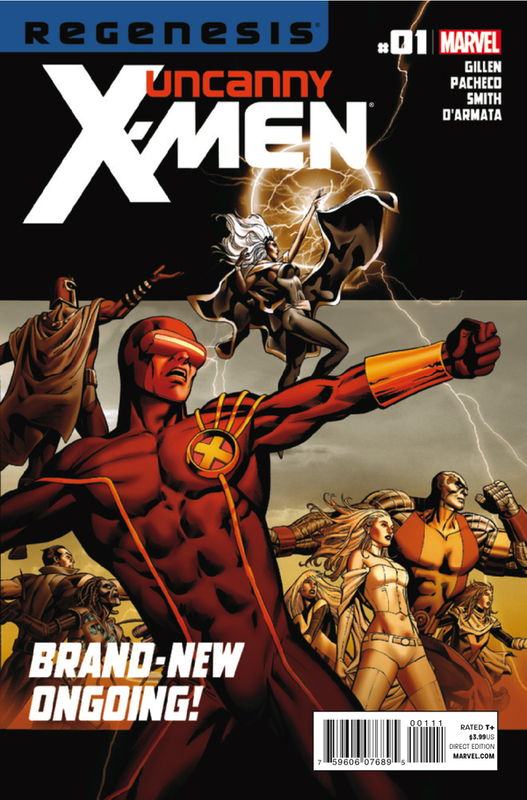 It’s impossible to say how accessible this is to new readers given my long history with Marvel’s mutants, but it’s absolutely that start of something special (including same day availability in both print and digital formats). Even though I don’t like the renumbering, I’m in for the foreseeable future and highly recommend taking a look.